My beloved father Mr. N. S. Ghosal who was a scholar and bookworm, in his lifetime collected this book from the College Street Market (Kolkata). Later I read this book in my school days and then I really got scared.This book is an excellent combination of 29 Western and Indian horror stories translated and contributed by various notable Bengali authors and edited by famous Bengali author Hemendra Kumar Roy. Read or collect Bengali PDF E-books and enjoy this awesome Bengali horror story book PDF by famous Bengali author Hemendra Kumar Roy. Pages of this book are too much brittle and I faced lots of trouble scanning this book. List of the stories with author name details are given below, hope that you all will love to read the entire book and of course this horror Bangla Boi PDF by Hemendra Kumar Roy is a "Hot Cake" for the horror story lovers. 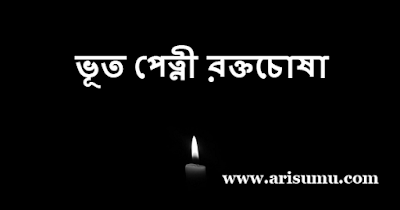 Remarks:-Read or collect Bengali PDF E-books, Bengali story books, Hemendra Kumar Roy Bengali horror story book PDF, Bengali ghost story book PDF, Bengali novels, Bengali Magazines (Patrika) and translated (Onubad) Bengali E-books in PDF format written by famous Bengali authors.